THE NATURAL HAVEN: Coming Up! Ok to delight your senses, this is a list of topics that you will soon see on the haven! 1. Porosity - Does it really exist? 2. Shedding - Myth of fact? 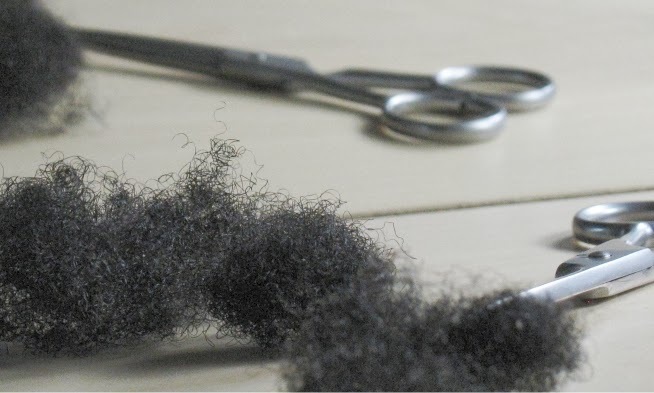 Do we really shed 100 hairs a day? Is breakage abnormal? 3. Launch of another Reader Questions Week - Lots of questions from mineral oil, hair regimen, clarifications and loads more! (Thanks to Oghomwen, Ndidi, Lydia, Avril, Chinwe, Brandiss, Alice and Kerr-Ann - I know it has been a longggg time, but I'm going to answer all your emails!). While I work away at these posts, I will leave you with two of my most recently discovered sites!! Lydia - Just started her own blog cleverly titled breakink new ground. It looks good! Lovely hair pics and great personal view perspective. Check out her french roll! Sage Vivant - The blog is No-poo jillipoo - How come no one ever told me about this blog?! I am very jealous as she owns the hair science bible (Robbins). I'm too cheap to buy it lol, I just go over to the university library to flip through it. She has a mix of science, product reviews and interviews. Aw, thanks so much for showing me so love :-)! I can't wait to read your upcoming posts. Have a blessed week. I Am looking forward to the topics especially shedding ? I have a question-How often do people have two very different types of curl or texture on there head. I personally have very curly hair in the front and the rest is more of a loose curl. I have to cut my own hair because of this split personality on my head! I have never met another person with this problem. I have never seen pictures of anyone with this type of hair. I can't be the only one! I have a lot of problems with breakage and split ends and what to do about those. I would love it if you discussed that in further detail. I also have a question about protein sensitivity and how to find out if you have too much protein in your hair. Also, is twisiting your hair ever night a bad thing for the hair that causes breakage?